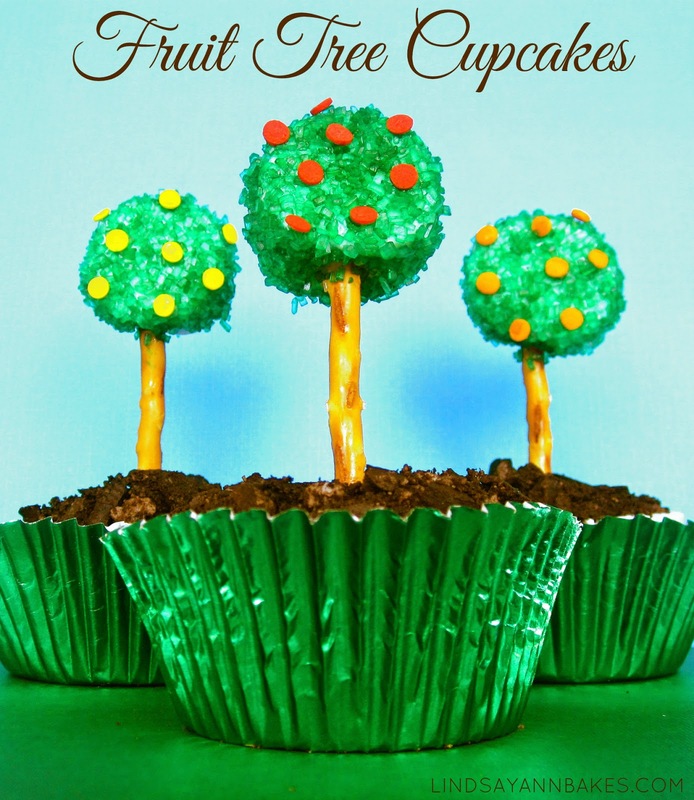 Today is Earth Day, and what better way to celebrate than to plant a tree... a CUPCAKE tree, that is! These little cuties are made of marshmallows, sprinkles and pretzel sticks atop a cookie crumb covered cupcake. 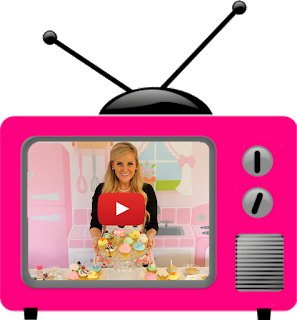 They are perfect for any spring or summer gathering, they're so much fun to make, and the best part is that you get a marshmallow treat to eat on top of your cupcake! Roll frosted cupcake in cookie crumb "dirt". Cut a marshmallow in half, width wise, and push pretzel sticks through the bottom. Dip marshmallow in bowl of water. Shake off excess water and immediately roll into gree sugar sprinkles, coating the entire marshmallow. Place on a paper towel to dry. "Plant" your tree by simply pushing it into the center of your cupcake. Add your sequin confetti sprinkles with a dab of water for the fruit. You can even try filling your cupcakes with corresponding fruit fillings like jelly or pie fillings... a milk chocolate cupcake filled with orange marmalade, topped with an "orange tree" or a dark chocolate cupcake filled with cherry pie filling, topped with a "cherry tree"... YUM! The possibilities are endless. Check out my simple homemade fillings from my Miniature Pies post.